Do you love dank memes, but hate having to scroll through Imgur using a boring old mouse? Then Imgurian Hegad’s Arduino-based Imgur remote control is the perfect build for you! Hegad designed and built this remote specifically for navigating Imgur, because using a mouse and keyboard was too inconvenient. They wanted a better way to look at Grumpy Cats, Doges, and Scumbag Steves, so they came up with this novel remote. It has just two buttons and a joystick, and allows for quick and easy scrolling through Imgur, along with functions for upvoting, disliking, favoriting, and the “show more” shortcut. 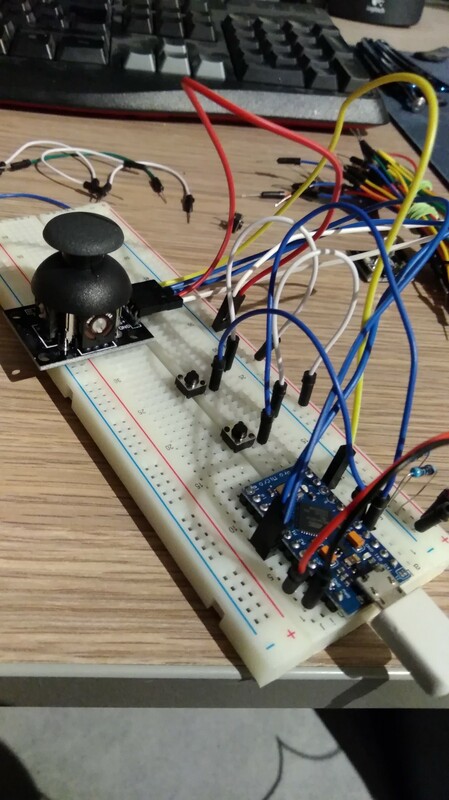 It’s built on an Arduino Pro Micro and a joystick module that is connected via a set of five wires. The Arduino, joystick module, and momentary push buttons are all soldered onto a small perf board that fits in the hand. When connected to a computer, the Arduino acts as a USB HID device that the computer sees as a keyboard. The joystick direction and button presses appear as key presses that Imgur already recognizes as navigation shortcuts, which makes the remote plug-and-play. This Remote Was Made Specifically for Navigating Imgur was originally published in Hackster Blog on Medium, where people are continuing the conversation by highlighting and responding to this story.